The Lumenis Quantum™ IPL/Nd-YAG Laser System offers effective yet gentle treatments for many degrees of vein varicosities, from tiny dilated capillaries (spider veins) to larger subsurface reticular veins. These types of treatments can be done with no down time, allowing immediate return to work or other activities. Thin red, blue or purple veins close to the skin surface may appear in clusters on your legs or face, creating a ruddy complexion or the appearance of permanent bruising. Laser vein treatment destroys these tiny vessels, returning normal pigmentation to the affected area. Half an hour or less, depending on the number of vessels to be treated. Several sessions spaced 4-6 weeks apart are usually required. Light energy, delivered through a hand piece, heats the blood vessel to the point of coagulation. The clogged vessel gradually shrinks and is absorbed into the body. Click here to view before and after photos. Plan to stay at the Cosmetic Surgery Center about an hour. Mild to no discomfort following treatment. Bruising, redness or occasional blistering may occur, but will heal as the spider veins disappear in 2-6 weeks. Normal activity may be resumed immediately following the procedure. Support hose are worn for 2-3 weeks after treatment. 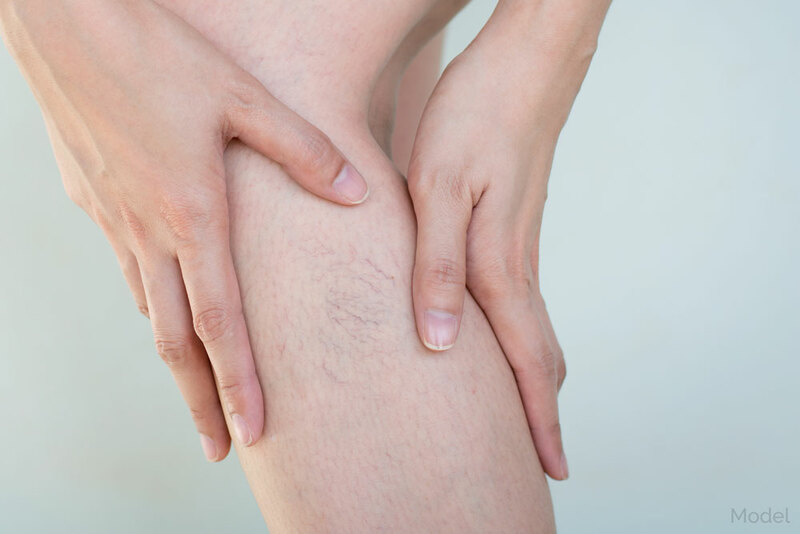 Permanent, though additional spider veins may appear over time. Lifelong sun protection is important. Have additional questions about the Laser Vein Treatment procedure? Schedule a Consultation with Dr. Knowling for further information.